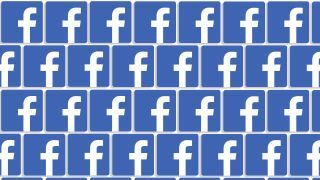 Following a lawsuit against the social media giant, Facebook has today had some 250 pages worth of internal emails released to the public by the UK Parliament. The documents reveal previously unknown details around the company's internal behaviour, and seem to reinforce what many critics view as the social network's anti-competitive nature, alongside its abuse of user data and other troubling issues. This isn’t the first time Facebook has been in hot water for dodgy practises – in fact, it’s becoming a recurring theme ever since details of the Cambridge Analytica scandal emerged early this year, but the newly-released emails provide a level of detail that's far more candid than anything previously uncovered. The US lawsuit that's allowed the release of these emails was put forward by Six4Three, an app developer that claims its Pikinis app was the victim of anti-competitive practises by the social giant. The emails were presented as evidence in that case, in an attempt to display that Facebook has a history of similar anticompetitive practises. Within the emails are several examples of external companies begging Facebook not to remove user data permissions for their products – perhaps the most prominent victim of which is Twitter and its now-defunct Vine social video app. Vine wanted to use Facebook’s user data to suggest friends on the service, but after a Facebook executive asked CEO Mark Zuckerberg via email if he could shut this feature down, Zuckerberg replied, “Yup, go for it”. Critics have drawn attention to this kind of behavior as being potentially in violation of US and European antitrust and anti-monopoly laws, as the dominant Facebook platform can arguably be seen to be blocking competitors attempts to enter its market. Google has also fallen afoul of antitrust laws in 2018, with the European Commission fining the tech giant US$5 billion for anti-competitive behavior in regards to its Android mobile operating system and the apps it uses by default. Don't we want Facebook to protect our data? “The facts are clear: we’ve never sold people’s data”, reads Facebook’s response to the outed emails. That may be technically correct in this instance, however while the company might not have directly traded data for dollars, the emails make a compelling argument that the same outcome was achieved – just with a few extra steps in between. The current controversy centers around the same platform policy change of 2014/15 that ultimately brought us the Cambridge Analytica debacle, which saw Facebook prevent apps from requesting access to friends’ information. But by selectively “whitelisting” certain companies and apps in this policy change, the company was able to protect those apps that brought something to the Facebook platform – such as Airbnb and Netflix – while, it's argued, simultaneously blocking out any potential threats, such as the aforementioned Vine. While that may not be seen as selling user data directly, revoking competitors’ access to that data is one way in which Facebook could weaponize customer information for its own profit. Another potentially concerning revelation from the papers has to do with Facebook’s acquisition of the now-mammoth chat app, WhatsApp. The purchase was made in February of 2014 and cost the social media giant US$19 billion. Facebook utilized a VPN and data analytics service called Onavo to chart the growth of WhatsApp, noticing that it was overtaking the likes of Tumblr and Vine and beginning to threaten Facebook’s own Messenger services in terms of popularity. Facebook purchased Onavo for US$100 million in 2013 – a year before its WhatsApp acquisition – a move which critics argue allowed the social media giant to track WhatsApp and other rising adversaries and nip them in the bud without any threat of competition. In response to the public release of documents, Facebook is effectively claiming that 'it’s not what it looks like', stating (perhaps fairly) that the documents were purposefully "cherrypicked" by the company behind the lawsuit, and don’t accurately detail both sides of the story. Facebook’s statement goes into specifics, detailing each of the concerns raised thus far by the exposed communications, although arguably, many of the provided answers do not completely address the issues raised – in some cases going off on tangents and pointing towards other mechanisms involved. The emails are also likely to raise more concerns over the coming days, as critics and regulators delve deeper into the dense cache of exposed communications.